Hey gang, Valkor here. The idea of a sequel when it comes to video games is not only about the continuation of a characters story, but also to improve upon faults the first game might have had. There are other reasons too, but for now let’s stick with these two details as it applies to the game I’m about to review. 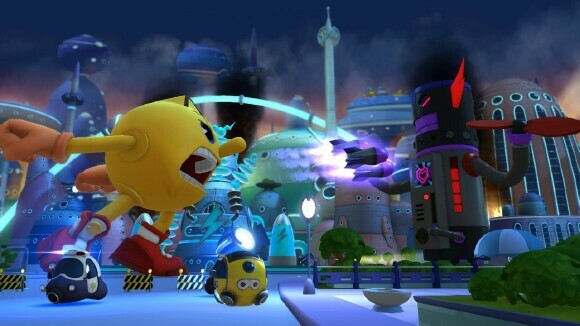 Last year I got to check out Bandai/Namco’s take on Pac-Man’s current saga – Pac-Man and the Ghostly Adventures (based on the current cartoon of the same name). I enjoyed the titled but I hated beyond hate the jumping mechanics. And when it was announced that there would be a second game, I was excited by the fact that they would fix the game’s faults for a better experience. And after playing through Pac-Man and the Ghostly Adventures 2 (our version is for the PS3), I’d say Bandai/Namco has a winner on their hands. 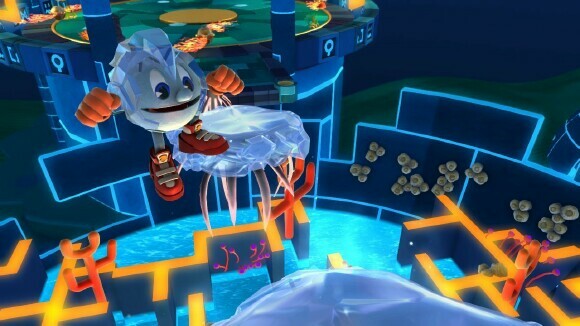 In Pac-Man and the Ghostly Adventures 2, Betrayus and his crew are up to their old tricks again and it’s up to Pac-Man to save the day once again as he’ll chomp his way through five areas each with about 15 levels per stage. And this time he’s not going on this adventure alone. 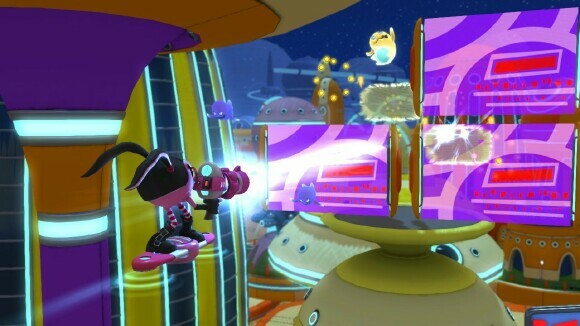 This time he’s got some friends in the form of Cyli and Spiral to help him out and you’ll be able to control them in vehicle/shooting stages. But don’t worry as Pac’ll have an opportunity to joyride as well. 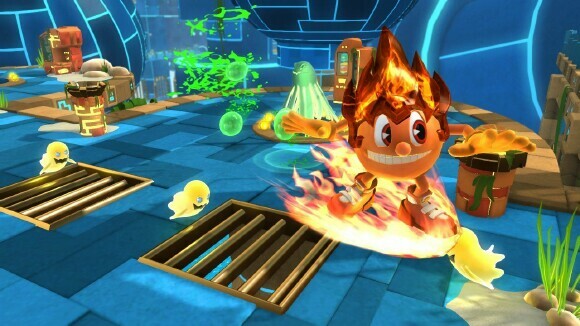 And not only can he use vehicles in certain stages, but he can also use new and old power-up pellets that’ll give him extraordinary powers such as flame, granite, metal and ice amongst others. Pac 2 plays exactly as the first game with one major change – the camera is now locked and switches view when necessary. This does 2 things – first, it allows the game to play out like the platformer it is deserves to be, similar to that of the 3DS version (which I enjoyed more than the console version). And two, it improves the jumping, which I hated in the first game; now his jumping is more on point – the game is called a platformer for a reason, not guy always falls to his doom. And speaking of which, you’ll rack up tons of lives as they’re tons of ways to gather em up, so making you're way through this adventure won't be so stressful. Finally, in-between adventuring you’ll have the opportunity to explore Pacopolis like the park, Sir C’s lab or even partake in a mini game or two. So what’s it like playing a game that’s essentially the same as the previous version, with a few changes? It’s definitely different, but it was almost an experience I was ready to pass up, given the similarities of the first game. But I’m glad I got the chance to play through it and I’ll tell you why in the TOV Breakdown. 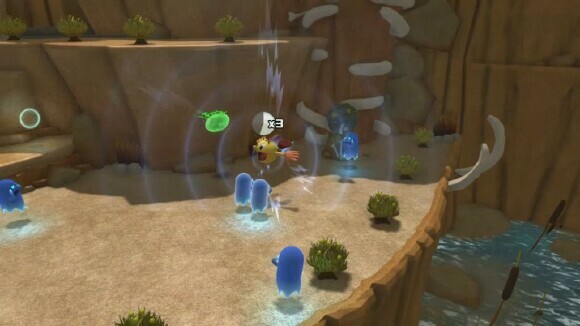 Pac-Man and the Ghostly Adventures 2 is everything I wanted the first game to be; it combines the 3D look of the bigger console version, while adding all the elements that worked for the 3DS – which I really enjoyed. Visually and audio-wise, it's essentially the same game as the first, which still looks great and the sounds are pretty much recycled from the first with a few new beats; but the one major difference of a locked camera does a lot to improve the experience of running, jumping and chomping your way through levels – it’s a lot less frustrating and way more enjoyable. And it shows as I finished the first stage without wanting to toss my controller. If there’s going to be a 3rd chapter in the Ghostly Adventures repertoire, then I can only see it getting better from here on. A lot of the negatives that I have are very nitpicky, if anything; first up, talking with other characters in the midst of your adventure is completely unnecessary as they don’t give you anything useful other than stating the obviousness of the situation. Next, I was excited when I first got control of Cyli in an on-rails shooter – I loved it! But those moments are few and far between. Yea the game definitely needs more like that! Finally, can we just lose the Pacopolis exploration aspect of the game? Again, it doesn’t add anything to the experience and I mean, for me, I just skipped it altogether. 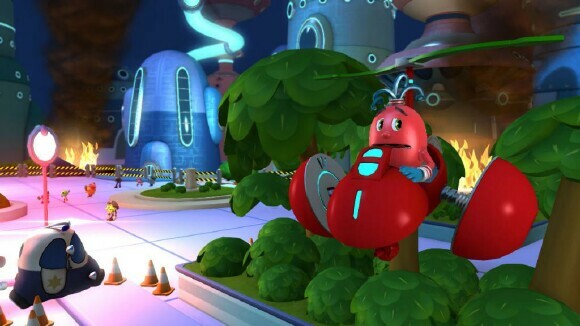 Pac-Man and the Ghostly Adventures 2 is available now not only for the Playstation 3, but also the XBOX 360, Nintendo 3DS and Wii-U. And if you’re like me, who had problems with the first title, then revisiting Pacopolis this time around is much more gratifying and a lot more entertaining. 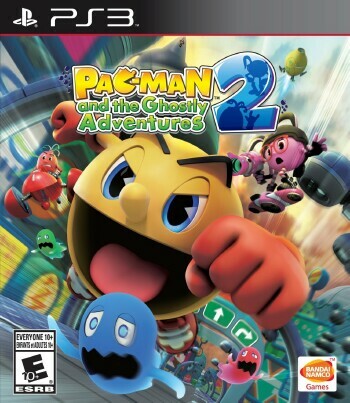 And out of TOV 5 stars, I give Pac-Man and the Ghostly Adventures 2 a 4.5.